Whether you are alumni or a friend of the University, your relationship with MBU is important. Your support is essential to our mission of equipping students for success through a purposeful life driven by Christian values. Get involved in our efforts to help MBU students become servant leaders. 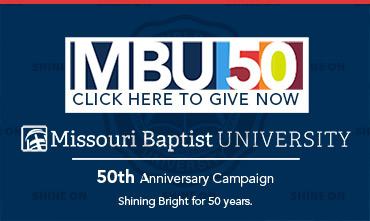 Your time and contributions are important to both the future of MBU and our students. The Spartan experience shouldn't slam to a halt after graduation. Your MBU alumni status qualifies you for numerous membership perks, career development tools, networking and volunteer opportunities, and much more! Make your education work even harder for you by taking advantage of these services! The opportunity is yours. You can choose to invest in the lives of students, helping develop tomorrow's leaders, inspiring them to be agents for change on a global scale. Honor a family member, friend, or loved one through an endowed scholarship. Help support new facilities and watch as MBU grows into the best of the best. Become a member of the Spartan Athletic Club, or the Society of Fine Arts (SOFA). Help expand the University's efforts to live out its mission through mission trips or various ministry groups.